Tis’ the season to be terrified; All Hallows Eve, Samhain or even Day of the Dead. Observed and celebrated worldwide, the season is arriving quickly! There’s plenty of events happening across Norfolk, Suffolk, Essex and Lincolnshire; scare experiences, fun days out with the kids, music festivals and everything in between. Keep reading to find something fun to do this half-term and Halloween. – and this year it’s evolving and mutating into the most terrifying experience ever! In addition to the in-your-face clowns in the “CarnEVIL of Terrors”, the spine-chillingly gruesome inhabitants of the “Forest of Fear” and the dilapidated and grisly “Mayhem Manor Hotel”, where your stay will be far from restful! “The Crypt – Repent your Sins” where an ancient evil has returned. New for 2018 is “Arachnophobia” our oversized eight legged friends will be waiting to meet you. a close encounter with PrimEVIL’s own ‘Pepe the Clown’ – and remember… SCREAMING WON’T HELP! A whole new adventure has been written by comedy partnership and Hippodrome favourites Jack Jay and Johnny Mac. They will be joined by an amazing cast of international acts. The Halloween Spooktacular has become a monster hit and Producer Jack Jay can’t wait to celebrate Halloween with families from across the region. October Half Term is Halloween at Roarr! Dinosaur Adventure and Dippy and his spooky friends have given the entire park a trick or treat make over. With spooky activities and decorations and fun to be had, can you complete the Halloween trail to earn your special Halloween Medal which will protect you as you explore Dippy’s spooky fun zone or face your fears in the Secret Animal Garden. All aboard the Spooky Express this October Half Term. A children’s quiz to see how many spooky items can be spotted on the train journey, a colouring corner and a decorated Whilstlestop Café add to this themed event. Also, the Railway’s resident Bear will be dressed up for the occasion to welcome each train at Aylsham Station. A Halloween event like no other is heading to the UK for the first time EVER! Produced by some of America's top Halloween Scare Attraction experts, LOCO Horror Train is the UK's first extreme live scare trip (train) experience. Running in Norfolk for 10 nights of petrifying performances, Loco will push the boundaries on all levels (and platforms) as reported in the EDP. With a scare crew and cast team of almost 70 and over 20 miles of available terror-stricken track, how long your journey lasts before interruption is vague but inevitable. It’s frighteningly good – look forward to seeing you! Set in a beautiful woodland, with the mission to engage children and families with nature, the Fairyland Trust is running the Real Halloween, featuring Magical Nature Workshops, Halloween Games, Face Painting, Tea Parties, Lantern Parades, food and drink and so much more. Locals whisper of an old village that appears in darkest Suffolk every year. It is here that the thin veil that separates our world from the Other side is stretched thinnest. Ghosts, ghouls and other creatures stalk the night and intrepid adventurers are said to be able to cross through. They talk of it as a Haunted Village. They call it Scaresville. Some say these are just stories, others won’t say anything at all - are you brave enough to investigate? Komodo Fireworks who produce award winning professional firework displays will once again be supplying the fireworks. This stunning display will light up the sky with vivid colours and noise along with a musical soundtrack. There will also be children’s entertainment throughout the evening including magician Robbie James, Halloween games, FREE face painting, family fun fair which will include Twister, Chair-o-Plane, Dodgems, Hook a duck and more, food and drink stalls and fully stocked bar, plus Best Halloween Costumer & Best Pumpkin competitions. There will be witches, ghosts and ghoulish goings on to spot both on the train trip and inside the Museum. Coming in costume adds to the occasion, so why not get the whole family to dress up. Magicians and Balloon modellers will be providing entertainment. Zootastic will be here again with a collection of creepy crawlies! Tipped as East Anglia’s iggest Halloween Music Festival, this years line up features Megastars Chase and Status (DJ set) along with other big names such as Jaguar Skills, Judge Jules, DJ Luck & Mc Neat, Ratpack and many, many more! Are you ready for the return of Fear Island coming to Fantasy Island Skegness? 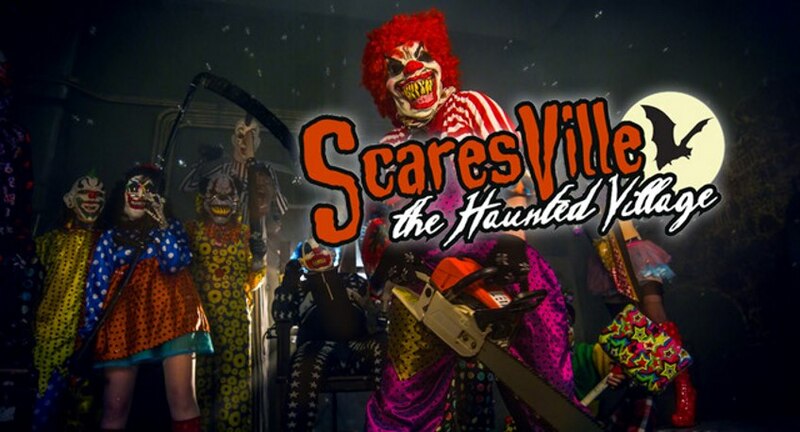 This year there will be THREE Scare Experiences for you guys to enter… If you dare. This year, you will have the choice between a regular ride-all-day wristband… OR a Fear Island wristband, featuring all 3 BRAND NEW attractions! What’s more, we also have The Circus of Screams coming to town! There are ghouls and goblins galore in Hardy’s annual Halloween spectacular this weekend! Magic and witchcraft have transformed Hardy’s into a scary 2-day event with spooky happenings and ghostly fun – perfect for all the family! 50% off admission for anyone in Halloween fancy dress. 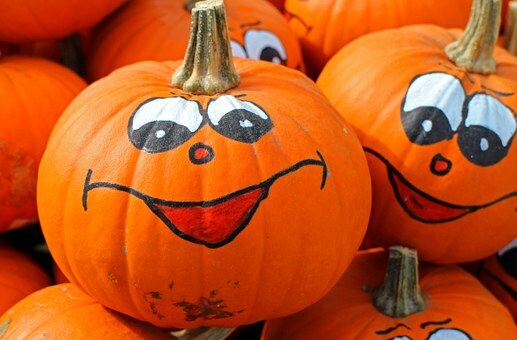 Bring a pre-carved Pumpkin to enter our competition to win prizes … judging both days is at 14:00 in Haystacks Playbarn. Join in with ghostly fun and activities at the 18th century Cogglesford Watermill in Sleaford. 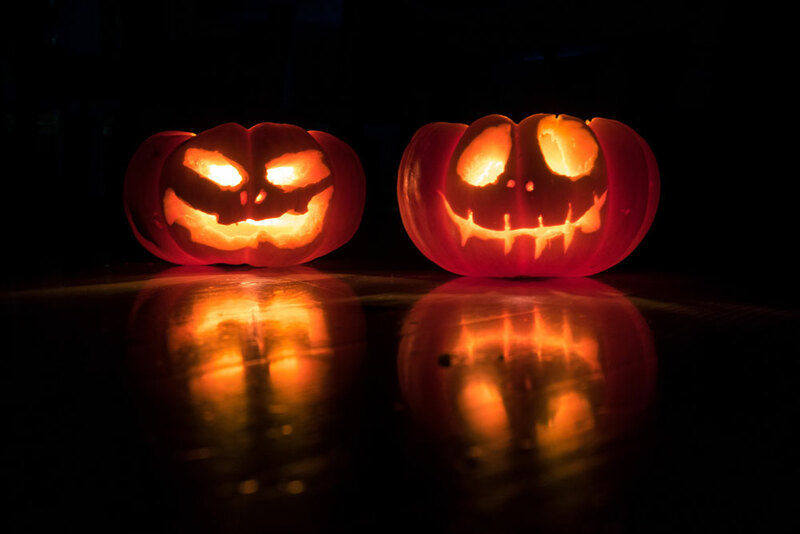 The creaky old Cogglesford Watermill will be celebrating Halloween with spooky activities on Halloween evening. Explore the mill and follow terrifying trails before settling down with some spooky stories. Fancy dress welcome, suitable for all ages. By day, woodlands are beautiful places filled with tranquil birdsong, happy dog-walkers and inquisitive wildlife. As dusk turns into darkness, cracking branches, rustling in the undergrowth and animal cries take on more sinister tones… and no more so at Halloween. Expect to encounter zombies, witches, clowns and more spooky obstacles through the course, which takes thrill-seekers deep into the wood and by open countryside. This family-friendly event is coming back to Colchester Zoo again this year. 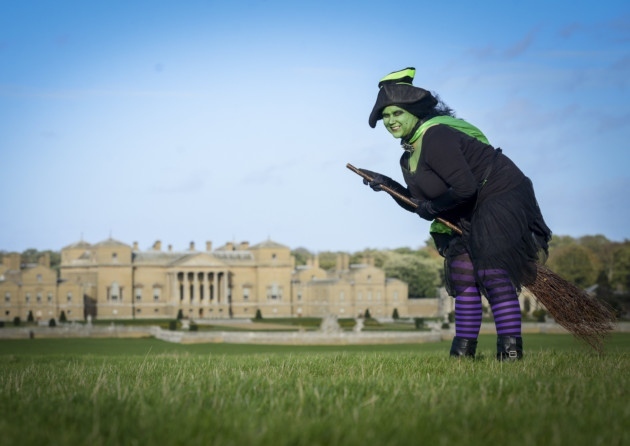 There are a host of Halloween-themed attractions, displays and activities every day throughout the week and visitors young and old are encouraged to dress up. As well as the seasonal fun, you can also enjoy all of the animals and play areas at the zoo. Dare you stay at the zoo after dark for this scarier activity? The zoo will be open on selected evenings for Fright Nights, where there’ll be spooky goings-on amid the night-time animal calls. The zoo provides parents and carers with a ‘Witchy rating’ on each activity to help you decide if it’s suitable for your kids, so One Witch is not scary and Five Witches is really scary. Fancy dress is also encouraged within reason so no terrifying outfits before 5pm because of smaller children. There will be creepy crawlies to meet daily at 2.30pm in the Seaquarium; spooky magic shows four times a day in the Boardwalk; a monstrous model display; colouring competition at the Captain’s Table; free themed face painting as well as a Shaky Jakey ghost hunt. The free magic shows will take place at 12.30pm, 1.45pm, 3pm and 4.15pm. Have a fang-tastic time here at the museum this October half-term with some cracking activities designed to keep your little ones busy. As well as gingerbread decorating in our beautiful vintage railway carriage cafe, we’ll be opening up the Imagination Station to a range of spooky craft activities, pumpkin carving and there’s a prize for the best Halloween fancy dress costume. Child admission includes a pumpkin to carve and take home and all craft activities – there will be a small, additional charge for gingerbread. Why not hang around and take your little witches and wizards for tea in the Chappel Station Cafe? Thomas the Tank Engine with a spooky twist, the perfect Halloween treat! Spooky Day Out With Thomas is an event the whole family can enjoy. Take a train ride behind Thomas and his friends, Daisy, Percy and Toad will all be here. Complete your Passport To Adventures and Junior Engineer Certificate, watch re-enactments of classic Thomas stories and much more. Stop by the Imagination Station for even more fun, with Thomas-themed crafts, games and DVDs to enjoy. All the usual fun of a Day Out with Thomas with a spooky twist. Fancy dress is encouraged! Enter the Tower If you dare! A FREE drop in Halloween event, full of spooky fun. Come along for a Halloween gathering of ghouls and ghastly monsters and Join in with the Halloween games and crafts. Be careful that the witches don't turn you into a pumpkin! Children must be supervised at all times. You can spend every Halloween by the coast with your very own holiday home with Tingdene Lifestyle. Holidays don’t always need to be scary, you can visit any time of year at some of our parks! Check out what we’ve got for sale below, including lodges in Suffolk and Norfolk holiday cottages!